How I wish I could read Korean writing just so I could understand the benefit of this mask that I got from my Salad Box. According to the card that came from the box, the Syn-Ake Cotton Sheet Mask is infused with Anti-wrinkle 'syn-ake peptide'. 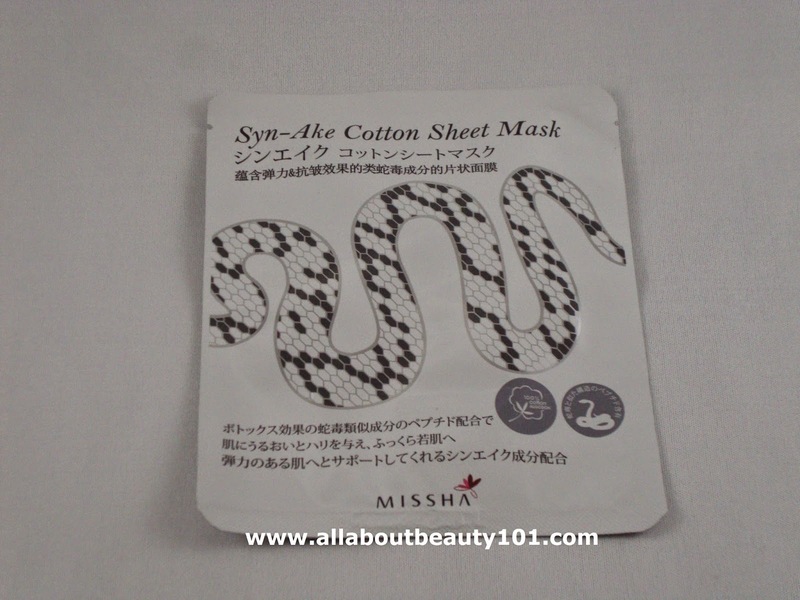 According to my research, the Syn-Ake Cotton Sheet Mask is a skin enhancing and firming sheet mask infused with syn-ake peptide that is a anti-wrinkle formula patterned after a snake venom which is known to enhance regeneration and stop the wrinkles from deepening. It is suitable for matured skin and suggested use is 2-3 times a week after a cleaned and toned face. 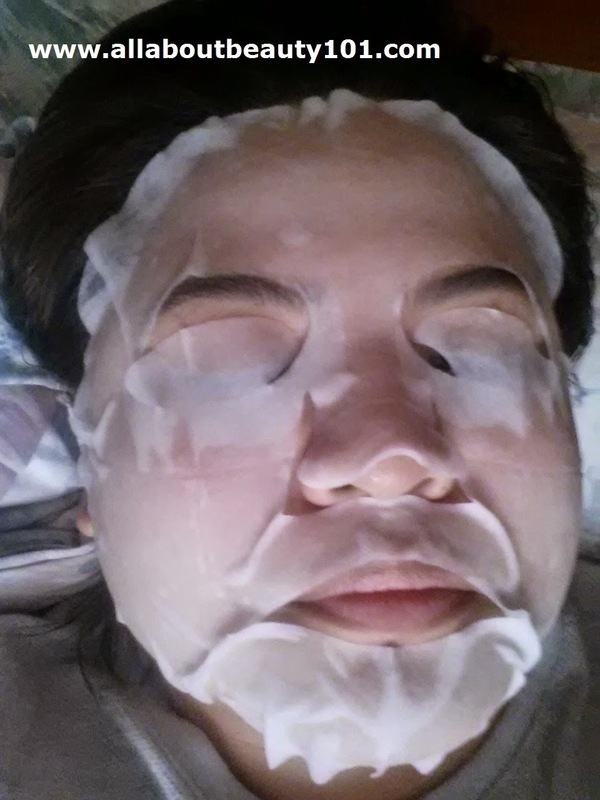 Directions of use: Apply on face and leave for 15 to 20 minutes. Pat leftover essence lightly.